A new cluster of Legionnaires’ cases has emerged in the Bronx with at least 10 people falling ill since September 21. New York City health officials currently believe the new cluster is unrelated to the outbreak the Bronx suffered earlier in the summer—the largest in the city’s history—that killed 12 and sickened 120. All of the new cases are centered around the Morris Park neighborhood and 35 cooling towers in the area have been tested for the Legionella bacteria. So far, seven have tested positive and are being decontaminated. Officials are urging doctors and other healthcare providers to be on alert for patients with Legionnaires’ symptoms, such as fever, chills, and difficulty breathing. 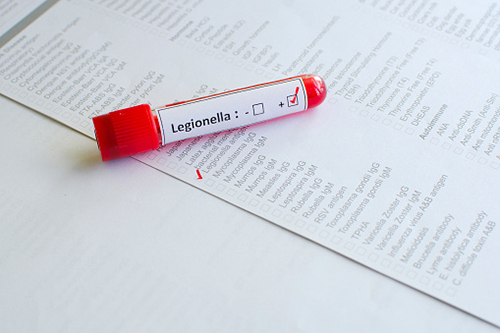 Legionnaires’ is not transmittable from person to person, so the alert is to ensure anyone infected gets prompt medical attention. There have been no fatalities thus far among the new cluster of patients. Officials noted that all of those infected have pre-existing conditions that made them more vulnerable to the disease. The elderly and those with compromised immune systems or underlying health problems are more vulnerable to Legionella bacteria. Legionella bacteria thrive in watery environments like those found in cooling towers or air-conditioning units. Infections happen when the bacterium is inhaled from water vapor and symptoms can take up to 10 days to appear. New York City passed legislation in the wake of the summer outbreak that required regular testing of cooling towers for Legionella bacteria, but it is unclear what impact—if any—this has had on the current set of cases. A town hall meeting has been scheduled by the health department for October 1 where residents can have their questions answered about Legionnaires’ disease, the status of the investigation, and what steps they can take to better protect themselves. “More Cases Of Legionnaires’ Disease Diagnosed In The Bronx; 7 Cooling Towers Test Positive,” CBS New York web site, September 29, 2015; http://newyork.cbslocal.com/2015/09/29/morris-park-legionnaires-disease/. Otis, G.A., “New Bronx Legionnaires’ Disease Outbreak Sickens 10 People,” New York Daily News web site, September 29, 2015; http://www.nydailynews.com/new-york/new-bronx-legionnaire-disease-outbreak-sickens-10-people-article-1.2379126. Rettner, R., “7 More People Sick with Legionnaires’ Disease in NYC,” ScientificAmerican.com, September 29, 2015; http://www.scientificamerican.com/article/7-more-people-sick-with-legionnaires-disease-in-nyc/.